I met Ian via good old Instagram when I posted a picture at one of my favourite spots in front of the Houses of Parliament. If you look closely, a cyclist is practising some kind of acrobatics by walking along the top of the barrier onto the Thames, which Ian commented, there are many ways to visit Parliament but this way was not encouraged! 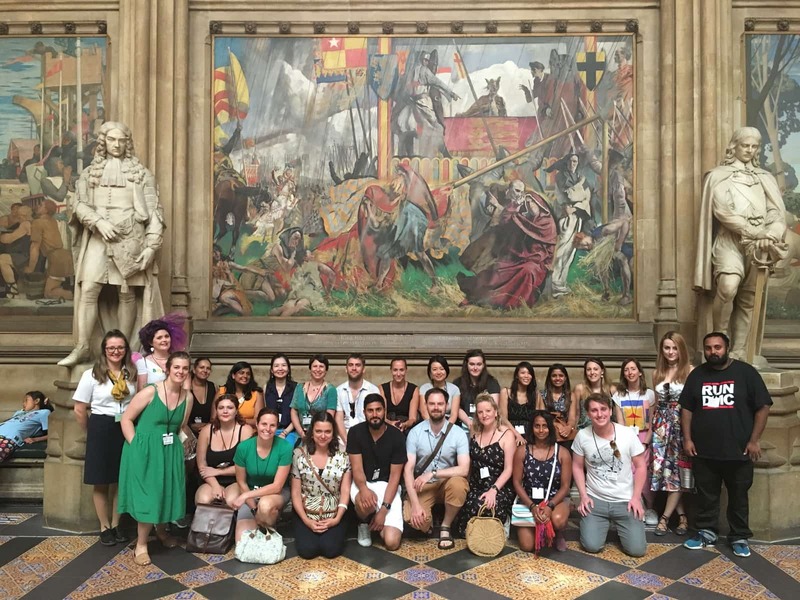 Since then, I’ve been on a fabulous tour of Parliament also also sent a huge group of Time Out London Tastemaker buddies to do the same. As an fan of history and all things London, I was intrigued how Ian and his team go about marketing this iconic location. 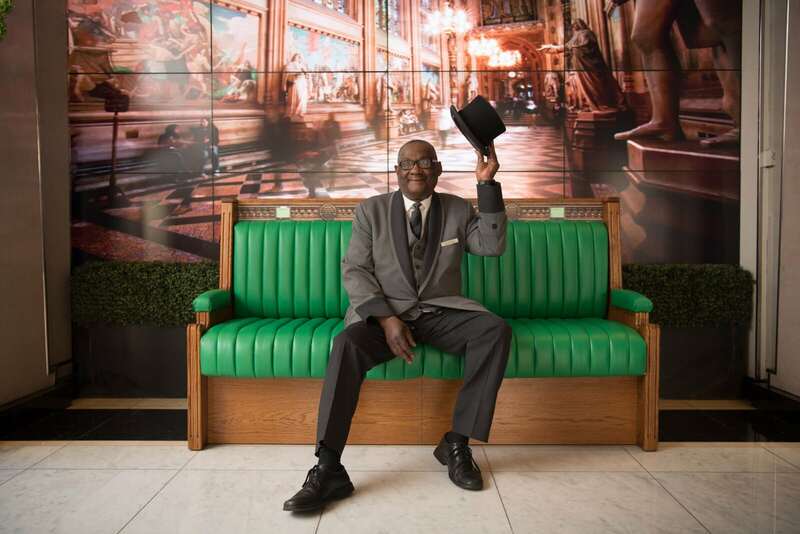 Ian Lacey has the very enviable and delightful job of working at the Houses of Parliament. As Marketing & Travel Trade Manager for Visitor Services he has the key role of attracting both domestic and international visitors to these glorious historical buildings in Westminster. Ian is the main contact for all travel trade, marketing, press and broadcasting enquiries about the Houses of Parliament and for their award-winning tours which take place through both the House of Lords and the House of Commons. 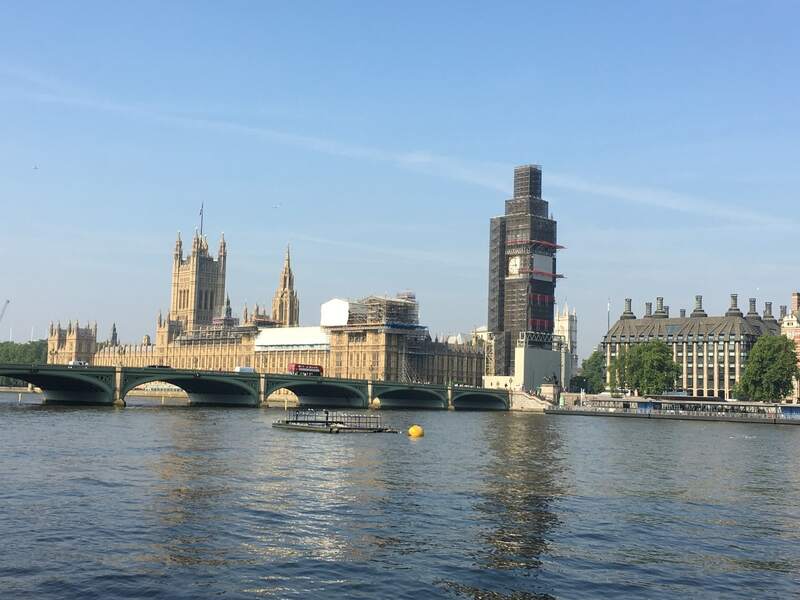 Following a tour with afternoon tea overlooking the Thames has proved itself to be a sure fire winner - you can read about my tour around Parliament here. Ian Lacey of Visit Parliament: I was born and raised in North London. When my wife Sarah and I got together, we spent a long time in Twickenham and we are now just a few miles down the road in Sunbury-on-Thames. I’m still living north of the river though! Ian Lacey: I left school at 18 and then spent the first part of career working in the financial services sector. Almost 12 years ago I undertook a big change in career direction to follow my love of travel and tourism. I went to college for the first time and completed a Masters in Tourism Marketing at the University of Surrey. I am still really proud of being awarded a distinction for my degree, and for my dissertation which focused on accessible travel. NakedPRGirl: What is your background and how does your previous experience support you in your role? Ian Lacey: I had a few tourism-related roles being offered my current position at the Houses of Parliament. I was the UK agent for a tailor made tour company based in New Zealand (spending three months getting to know that beautiful country) and worked for the National Trust at Osterley Park in West London (go visit – it’s a beautiful country house and estate in the middle of the suburbs). I was a Gamesmaker at the rowing and canoeing events at London 2012 and, just before joining Parliament, was an account manager for a marketing and PR agency specialising in the hospitality sector. I absorbed so much from all these experiences, and met a lot of people, so was able to hit the ground running when I started at Westminster six years ago. NakedPRGirl: Can you describe a typical working day for us? Ian Lacey:I know it’s a cliché but no two days are the same. My job is primarily externally-focused – finding new and innovative ways to encourage tourists, group travel organisers and tour operators to book visits to Parliament. I also work with journalists, bloggers and other influencers. In the summer, thanks to your introductions Claire, we arranged for a group of 25 Time Out Tastemakers to come on one of our guided tours. It was great to meet them and then observe the different ways they shared their experience of the tour afterwards. I go to travel shows (we are exhibiting at World Travel Market at ExCeL 5-7 November), seminars, conferences, awards ceremonies (when we’re nominated) and other travel industry events. There are inevitably plenty of internal meetings and I line-manage the other members of my team. We are based in an office just off Whitehall so some weeks I hardly visit the Palace of Westminster. It’s still a thrill when I do go over there and walk through Westminster Hall, or stand on the floor of the House of Commons. I would love to be at floor level in the Commons Chamber during a particularly noisy and dramatic debate, but to do this I would either have be elected as a Member of Parliament or change jobs and join the doorkeeper team! NakedPRGirl: Do you have a specific morning routine? Any tips or hacks you would like to share? Ian Lacey: I always walk to Parliament from Waterloo in the morning. As I cross Westminster Bridge, I have the most spectacular view of ‘the office’. I’ve watched the scaffolding move along the roof line of the building and up the Elizabeth Tower. I am really looking forward to the restored Big Ben being revealed in a few years’ time. On arrival it’s coffee and clearing emails before the meetings begin. NakedPRGirl: What do you love most about that incredible building? Which is your favourite room or space? Ian Lacey: On our visitor tour route, my favourite room is Prince’s Chamber. This is a warm and intimate lobby between Royal Gallery and the Lords Chamber. The walls are lined with paintings of the Tudors and Stuarts, and the room is dominated by John Gibson’s statue of Queen Victoria. 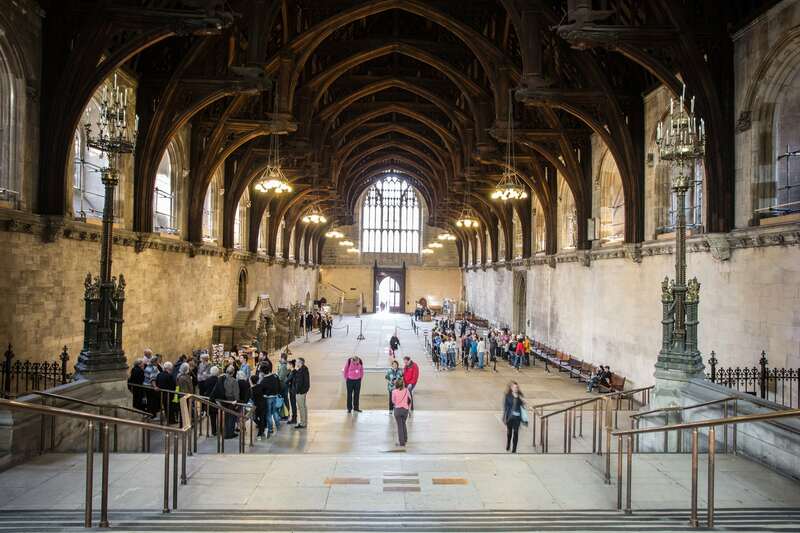 I also love the sheer scale of Westminster Hall which dates from 1097. Anyone who’s anyone in English history has probably walked through this space at some point. The modern atrium of Portcullis House is lovely. It goes from being very chilled first thing in the morning to extremely buzzy around lunchtime on days when Parliament is in session. We take part in Open House London weekend every September and Portcullis House is always a popular part of this. NakedPRGirl: Do you have a particular highlight that stands out since you started at Parliament? Ian Lacey: A particular highlight for me was the ‘Visit Parliament’ branding project that we completed a couple of years ago. It was really strong visually and reflected the stunning interiors of the building. 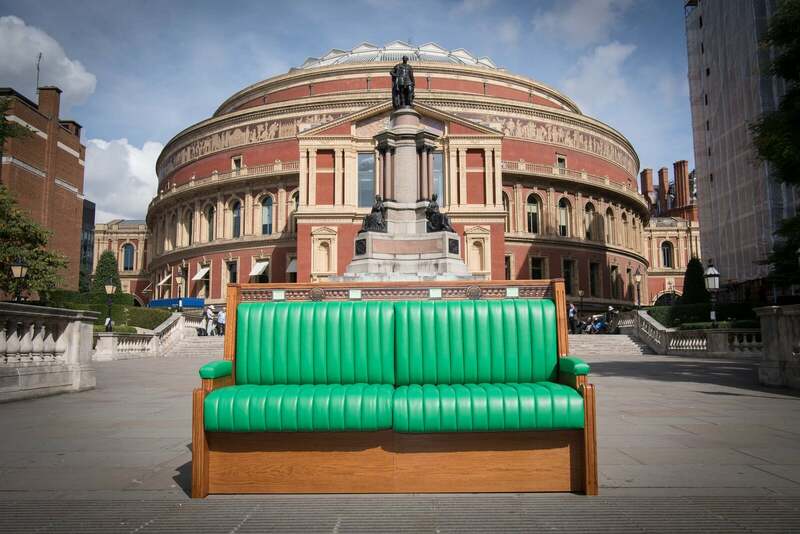 To kick-start the accompanying PR campaign we built a replica House of Commons green bench and set out to place it in some well-known locations. 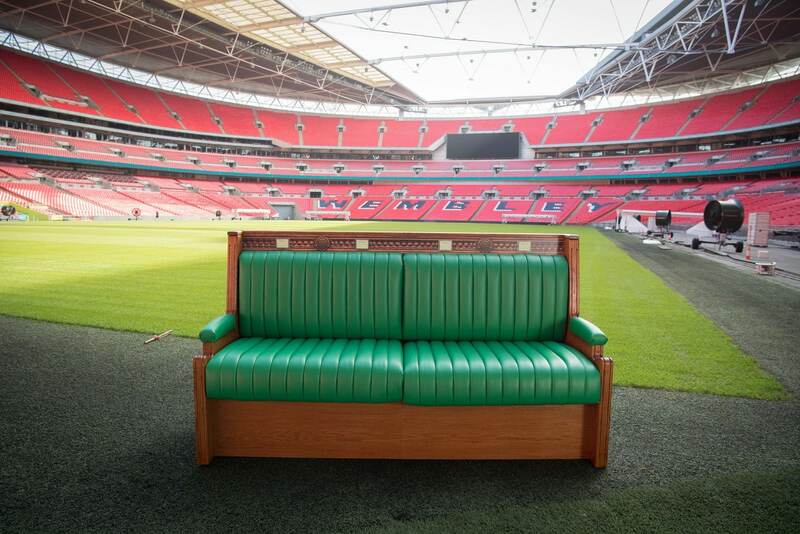 I was able to secure agreement for the bench to go pitch-side at Wembley Stadium and on the south steps in front of the Royal Albert Hall. That was a memorable day! 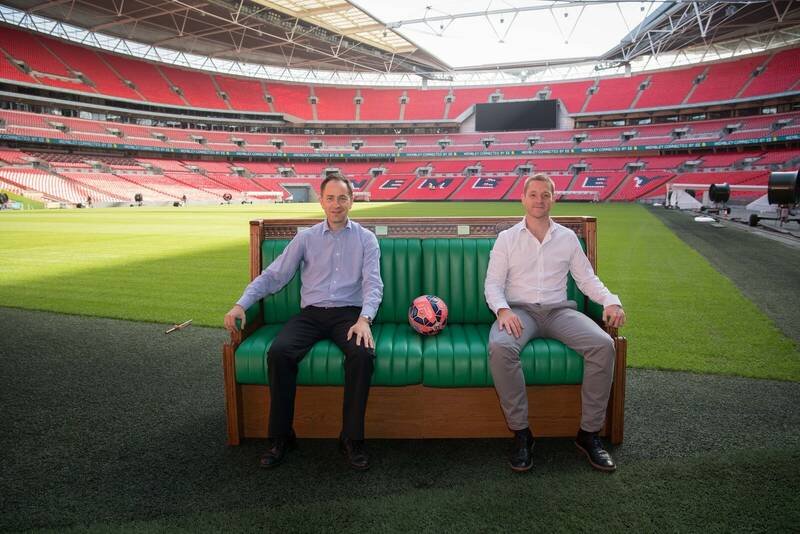 We still take the replica bench to travel shows and have placed it in railway stations, airports and hotel lobbies. We are always open to new ideas from potential hosts. 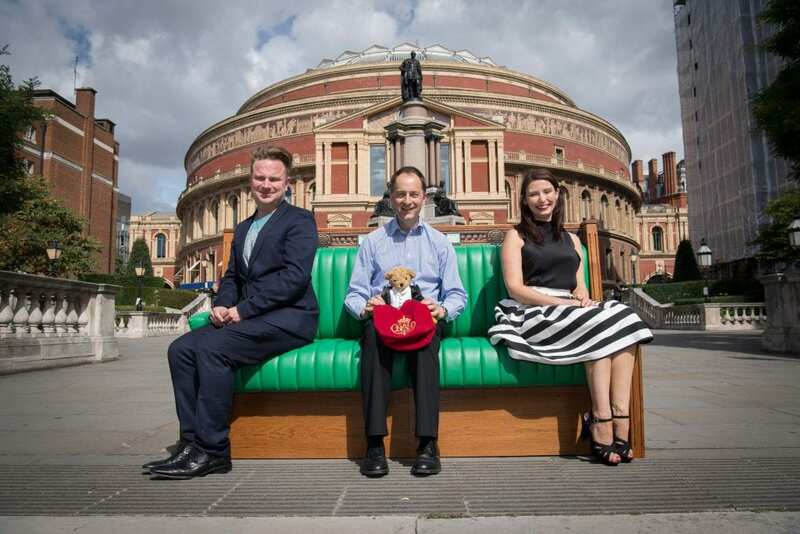 People love to have their photos taken on the bench, especially as only MPs are allowed to sit on the real benches. NakedPRGirl: We are shortly to be celebrating 100 years since the end of the First World War - how will Parliament be celebrating? Ian Lacey: Currently I am working on our event taking place on 26 October which is part of the Museums at Night weekend. ‘A Snapshot in Time’- find out more information here - enables visitors to experience a certain day in November 1918. Throughout the evening, actors playing the roles of King George V, Winston Churchill, Nancy Astor and a returning soldier will share their experiences about the conflict, and its impact on them and their loved ones. Our Visitor Engagement Assistants then take the characters’ stories forward and explain what happened to each of them after 1918. On 31 October the combined UK Parliament and German Bundestag choirs will commemorate the centenary with a special concert in Westminster Hall featuring Mozart's Mass in C Minor. The choirs will be accompanied by Southbank Sinfonia and conducted by Simon Over. NakedPRGirl: Do you ever do anything in Parliament to celebrate Bonfire Night? Do you have any insider knowledge about that event that we might not already know? Ian Lacey: Guy Fawkes and the Gunpowder Plot is a bit of an odd one for us to celebrate, especially in the current security climate. It relates back to a scheme to blow up the King and Parliament during the State Opening ceremony. Guy Fawkes was tried and found guilty of treason in Westminster Hall and met a rather grisly end. Also, some years ago the State Opening was moved from November to May so the dates don’t even coincide with the parliamentary calendar anymore. Even so, Yeomen of the Guard still go down and inspect the vaults on the night before every State Opening. NakedPRGirl: What’s your favourite social media channel? Do you have any social media tips? 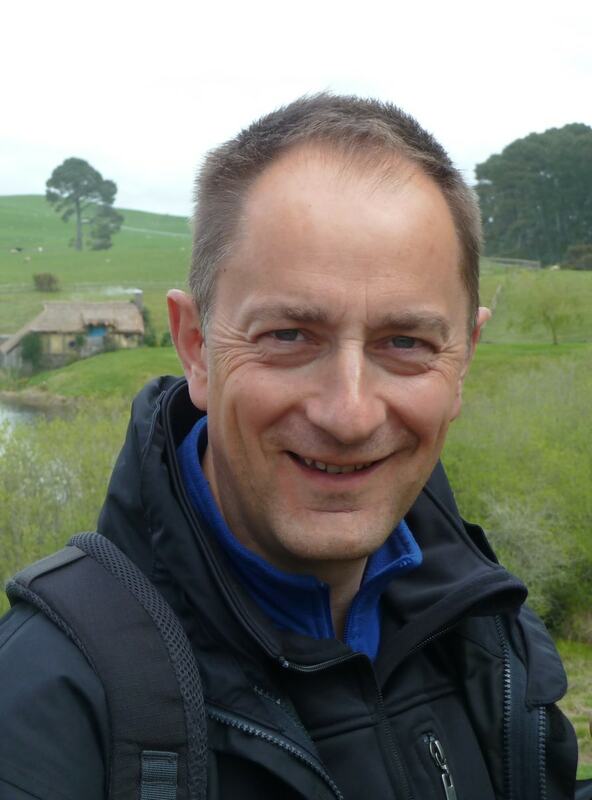 Ian Lacey: I enjoy Twitter and co-manage our @visitparliament account. I would recommend Twitter to any aspiring copywriter as the small character limit really sharpens your ability to tell a story or convey a message in just a few words. I’m not an active Instagrammer but I love viewing other people’s creative images and enjoy the positive vibe. I use LinkedIn a lot for work as it’s good for keeping up to date with industry trends and seeing how my contacts are doing. NakedPRGirl: How do you manage your social media workload - are you and your team planners and schedulers? Ian Lacey: We try to keep the @visitparliament Twitter account fairly informal in tone. We have a plan which sets out the tours, events, exhibitions and other ways to visit that we need to be publishing tweets about at any given time. We also have a schedule of other topics such as significant anniversaries and ‘on this day in history’ stories which relate to Parliament. Tweets featuring The Queen always seems to receive particularly strong engagement levels. We answer any questions as quickly as possible and proactively engage with people who are tweeting about wanting to visit Westminster or sharing their experiences. We publish in real time and avoid scheduling so we can check that our content is appropriate given what’s going on the wider world. NakedPRGirl: How do you use social media to promote the Houses of Parliament particularly on an international level? Ian Lacey: We can reach a much bigger and broader audience through working with the @UKParliament social media team as they manage the full range of channels; Facebook, Twitter, Instagram and YouTube. Most of our content is in English but we have developed ‘welcome’ videos in a number of other languages too. The US is a key tourism market for us so publishing visiting-related posts later in our day means we hit American audiences at the right time. We have had some success lately with Facebook Events. It’s all about getting the messages out to the channels where people will see them, not expecting them to go looking for our content. NakedPRGirl: Have you introduced a new event or special day which has gone down well with visitors? Ian Lacey: I mentioned our involvement with Museums at Night earlier. This has given us the opportunity to experiment with ‘Lates’ in order to attract new and more diverse audiences. Two years ago our ‘Rights and Rebels’ evening focused on the protestors and activists who have challenged the law and therefore Parliament. Three excellent folk musicians performed rebel songs under the magnificent hammerbeam roof in Westminster Hall. Last year’s ‘Pride at Night’ was LGBT-themed to mark 50 years since the passing of the Sexual Offences Act 1967. We developed an LGBT history tour (which we still run occasionally) and our archivists displayed a copy of the 1533 Buggery Act which proved to be quite a draw. We are fortunate to have so much fantastic material to work with! NakedPRGirl: How has access to the Houses of Parliament changed over the last few years? Ian Lacey: We welcome around one million visitors to Parliament each year. Yet, many people still don’t think they can visit. Visitors can come and watch the debates and committees, or take one of the many tours. 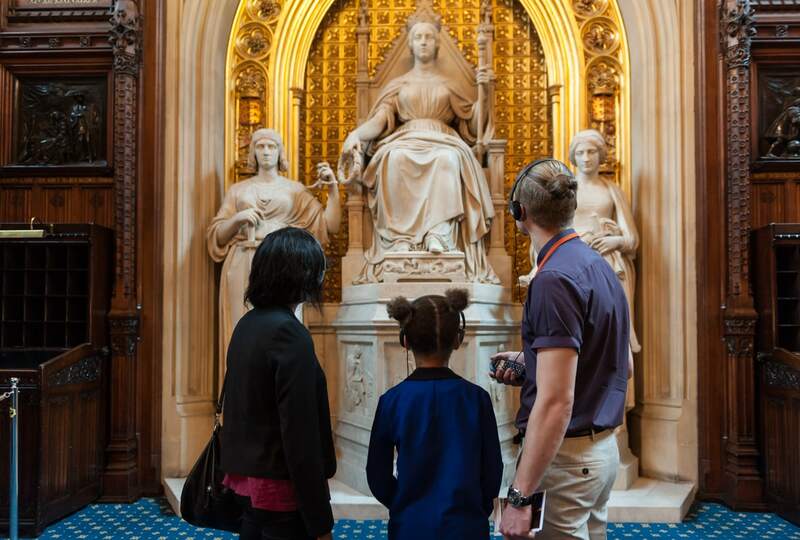 We now offer a much broader range of tours – tour guide led, self-guided audio, family-specific and themed – and we are open to visitors even when Parliament is not in session. We also work hard on our accessibility, which can be a challenge in a mainly Victorian building. We run tactile tours for people who are blind and partially sighted and sign language tours for the hard of hearing. Ian Lacey: If all goes according to plan, the Palace of Westminster will close for restoration and renewal in 2025 for around eight years. Up until then we will be encouraging people to visit or re-visit while they still have the chance, by continuing to extend the range of tours, events and exhibitions we offer. NakedPRGirl: Which political figure, past or present, inspires you? Ian Lacey: Working for Parliament means that publicly I have to be politically neutral so I will side-step this question and answer a slightly different one. My inspirations tend to be people who go out and discover the world; polar explorers like Shackleton and Scott, writers like Eric Newby (check out ‘A Short Walk in the Hindu Kush’) and TV travellers like Simon Reeve. I’m really looking forward to seeing Simon Reeve’s one man show at Richmond in early November. Ian Lacey: Probably my mantra is not to put off doing the things we really want to do, particularly travelling to new places and revisiting old favourites. My travels to over 40 countries are some of my most treasured memories and I want to keep adding to the list. I am not going to be one of those people who looks back on their life and wished they had done this or that. NakedPRGirl: Where would you like to be in ten years’ time? Ian Lacey: So much has happened over the past ten years, most of which I couldn’t have even dreamed of including working at Parliament. So it’s really hard to look so far forward. As the Palace of Westminster is likely to be closed for restoration by then, I know I won’t be doing the same job. A few years ago I qualified as a tour guide at Parliament and really enjoy talking and writing about history and travel so maybe I will be doing something along those lines.